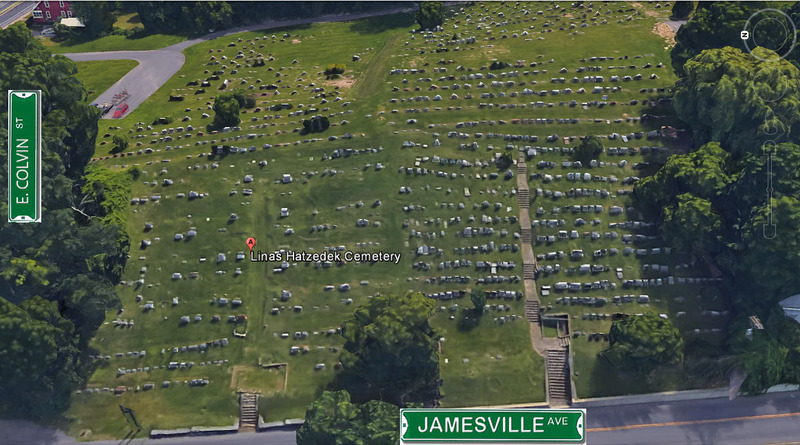 Samuel Lavine, 116 Rose Ave., e., who died at his home last night, was buried this afternoon in Jamesville Gate Cemetery. He was a member of Lessing Lodge 163 IOOF, Services were conducted at 2:00 at the home. 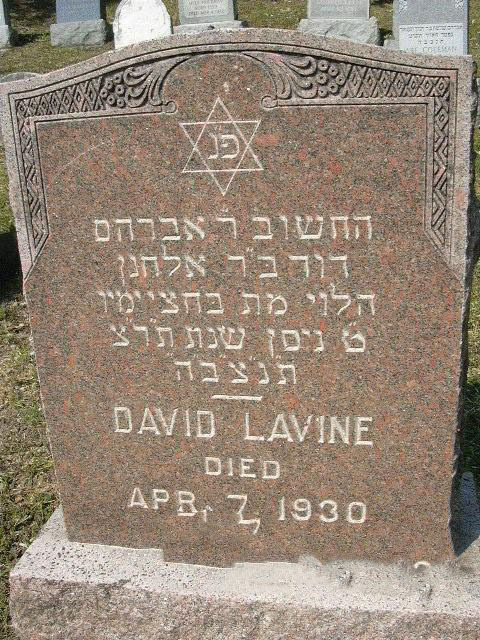 Surviving relatives include his wife, Mrs. Etta Lavine; three daughters, the misses Sarah, Rose and Helen Lavine; a brother Joseph Lavine; and two sisters, Mrs. Celia Finn and Mrs. Anna Wagner. Syracuse Herald, Tues. April 8, 1930, page 23.